Setting a minimum product requirement is a smart move for your online store. This function lets you set a specific condition for a minimum product requirement that should be met before the customer can avail of the discount for his purchases from your online store. Enabling this function gives you the assurance that your business is in a good state while providing your valued customers the privileges by giving them discounts as long as they met the product requirements. The results - both you and your customers benefit from it. Step1. 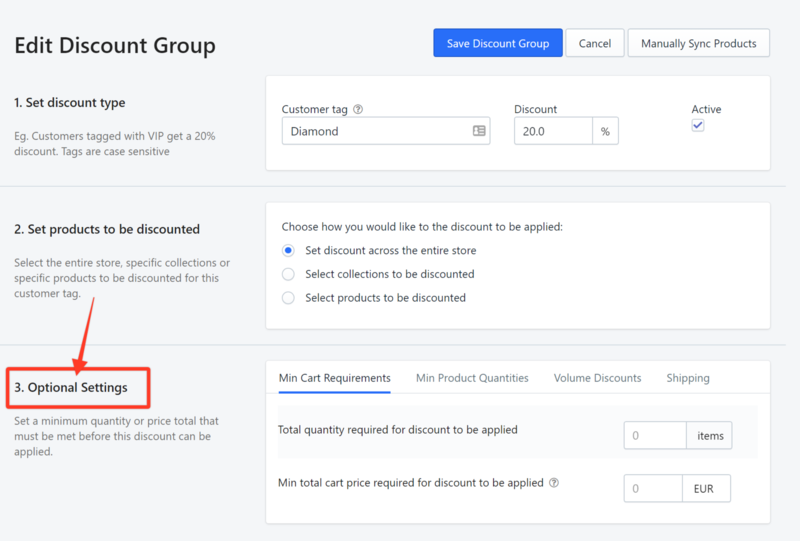 From the dashboard, choose a discount group by clicking on its Edit button. 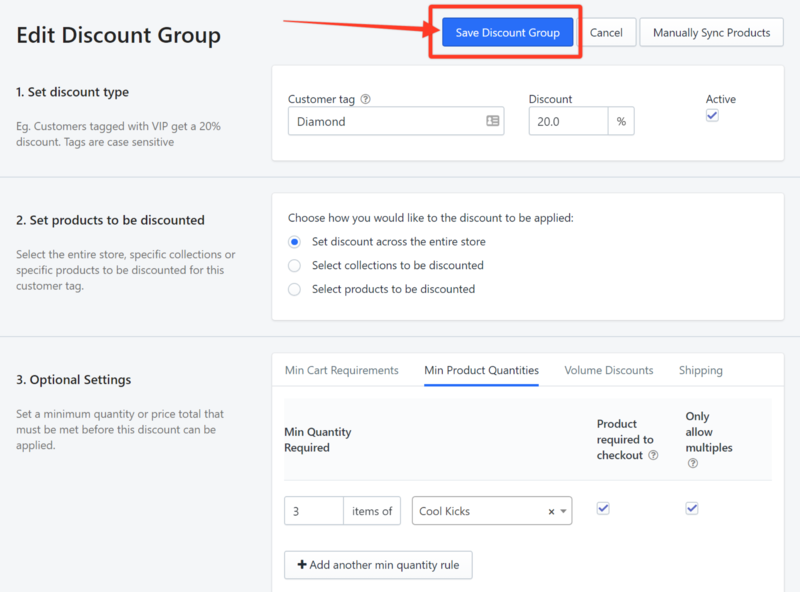 In this example, the discount group is named Diamond. Step3. Click Min Product Quantities tab. Step4. Set the minimum number of items and the product as your condition to let the customer avail of the discount. In this example, we are going to require a minimum of 3 Cool Kicks sneakers to be purchased to avail of the wholesale discount. Step5. (Optional) Check the following boxes if you wish to add conditions for the requirement you have set up. Product required to checkout - Customers will only be allowed to checkout if this product requirement is met. Only allow multiples - Wholesale discount will only be applied if the product is bought in a series of multiples such as 3,6,9, etc. Note: If you want to add more rules, click Add another min quantity rule.